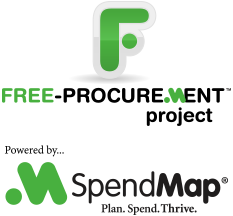 If you have successfully installed the free version of SpendMap and the system is able to check for updates when starting up, you can ignore this blog post. As you may know, the free version of SpendMap checks for updates/patches automatically. When an update is available, it is downloaded automatically and you will receive a message to re-launch the system. This ability to automatically update/patch the system is absolutely mandatory for a project like this, due to the large number of free systems in use. Unfortunately, we’ve had a few support tickets from people who are not able to activate and/or update the software due to restrictions on their firewalls or proxy servers, so we have redesigned the auto-update utility in the hopes of making it more “firewall friendly”. Like all updates/patches, the updated version will be downloaded and installed automatically the next time you run SpendMap. However, if you are having trouble connecting to our update server, obviously you won’t get the update. TIP: If you are not sure if your SpendMap system is able to auto-update, you can test this by selecting the menu option Help > Check for updates – If it is unable to check for updates, you will receive an error message. For clarity, if you are installing from scratch, there is no need to download and apply the patch.zip file, as its contents are already included in the SETUP.EXE. Finally, if the new update utility does not improve things for you and SpendMap is still not able to check for updates due to restrictions on your firewall or proxy server, as a last resort you can manually download and install the patch.zip file from time to time. Any new or updated files will be added to the ZIP file accumulatively, so you can download and install the files as often as you like, perhaps once a month, or if we make a post like this in the future about an important update. To make sure that you are notified about important updates, please follow our blog.